The bride shines like the moon. 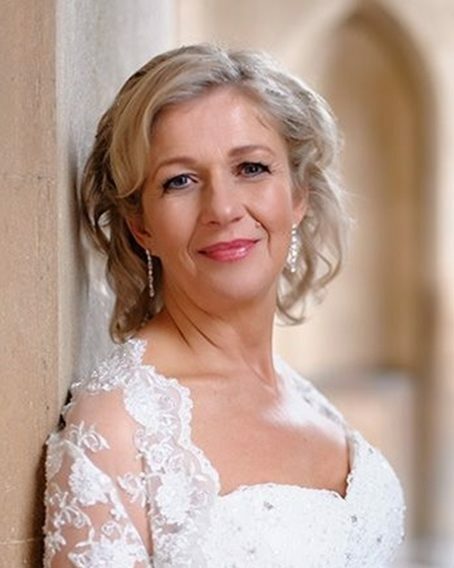 After all, you are the mother of the groom! When we talk about the wedding, all we talk about is the bride and the groom and what they want to eat, what they want everything to look like and what they want to wear. It’s their show, so no complaints about that. But, it’s your son’s wedding, woman! You have every right to dazzle if not more than the bride then not any less either. And you might won’t be the glowing lady in white (you had your chance already!) 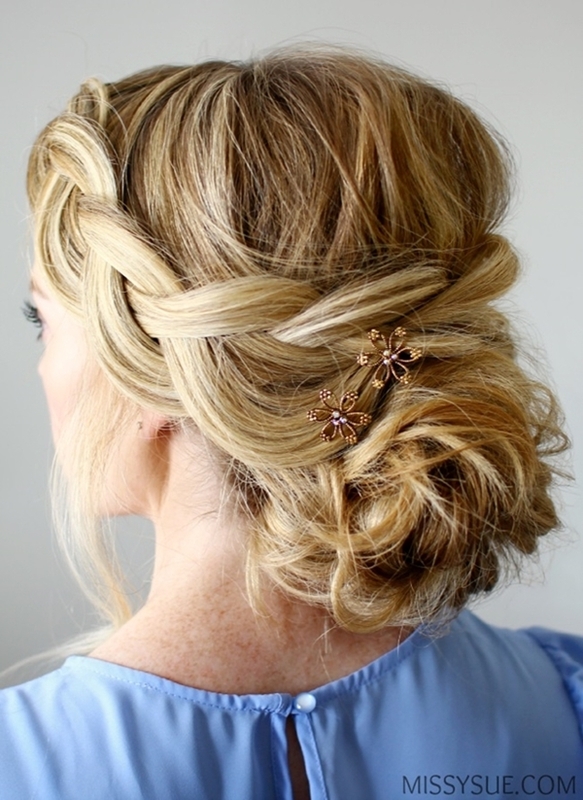 but you will definitely be the gorgeous lady with these Glamorous Mother of the Groom Hairstyles to be the Stun-Mum. A woman first dreams about her wedding and then she dreams about the wedding of her kids. 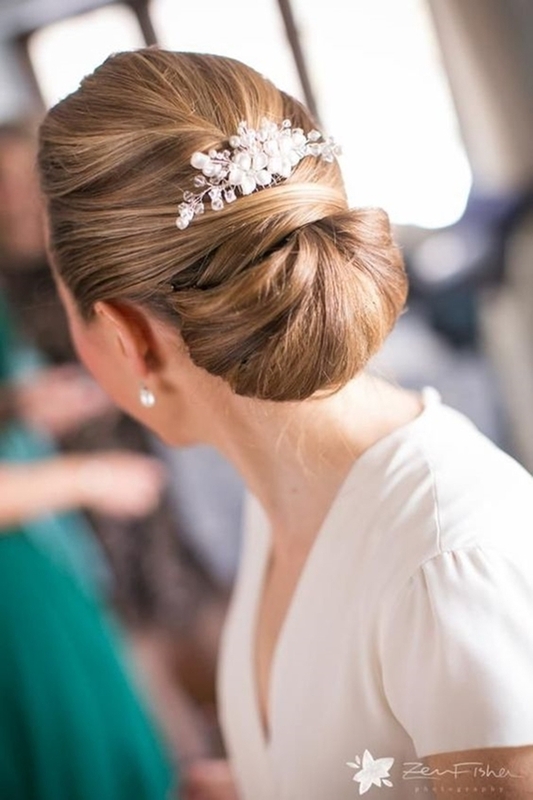 It’s high time to lose that bun and try something new for this wedding of your dreams. I’m not saying to ditch your favorite bun hairstyle but adding few twists and turns might be the thing you need to polish things further. 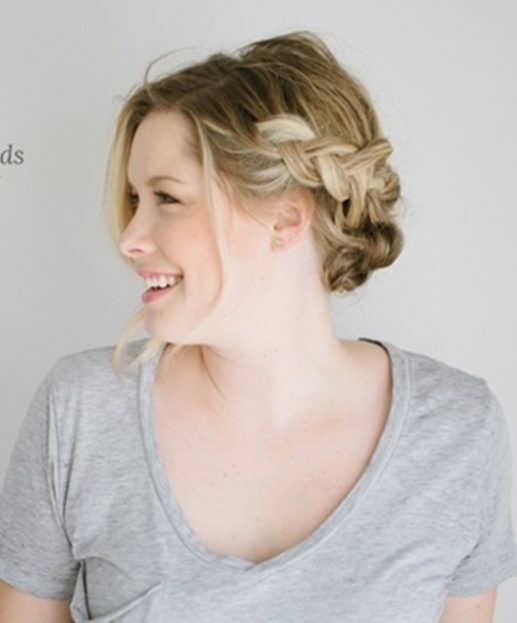 Maybe a braid or why not just let your hair go wild and keep them loose. 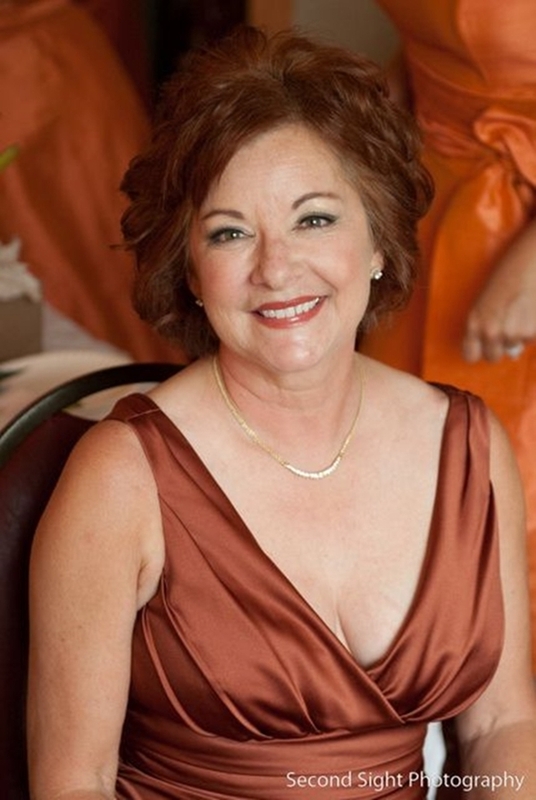 There are a plethora of options for you, oh mother of the groom. So, don’t limit your options. And if you happen to come across these myths then don’t forget that they are indeed just myths and that’s all. 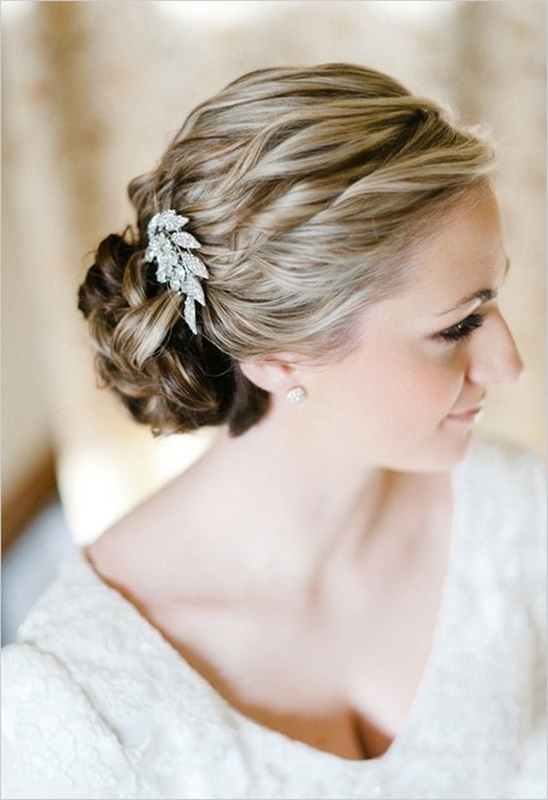 Before starting with the Glamorous Mother of the Groom Hairstyles, let’s have some serious talk. Don’t worry; it’s just so that you should know what will be the different scenarios with different hairstyles. And for that you need to know your hair better. For instance, do you know how long the curls and waves do last when you style your hair? This question is important because if you are planning to keep your hair down, then you should know if it would hold the style. If your answer to the question is long like 5 to 6 hours long then go ahead and wear your locks down. Because you don’t want to miss the ceremony or any part of the wedding by making frequent visits to the powder room. And maybe after reading this, you would like to give some suggestions to your soon-to-be daughter-in-law. 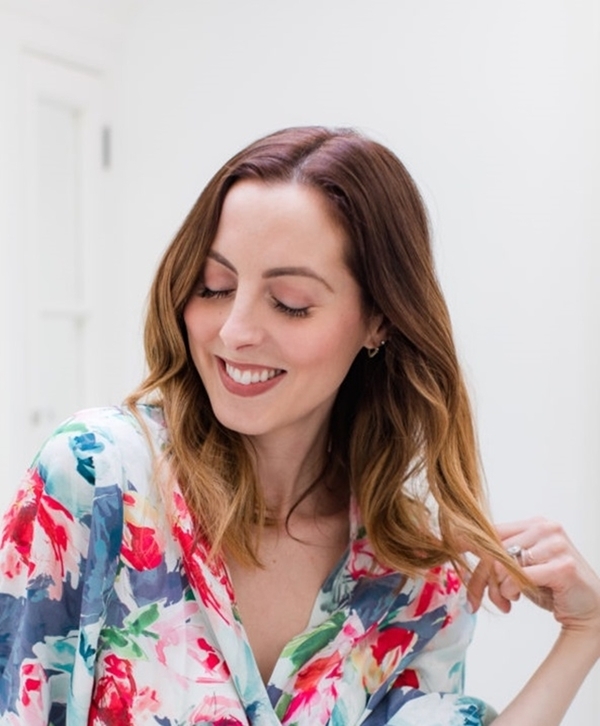 Have you ever considered highlights or maybe just to colour your hair? Oh gosh! This isn’t my age to do this stuff! Umm, I hope you didn’t say that. 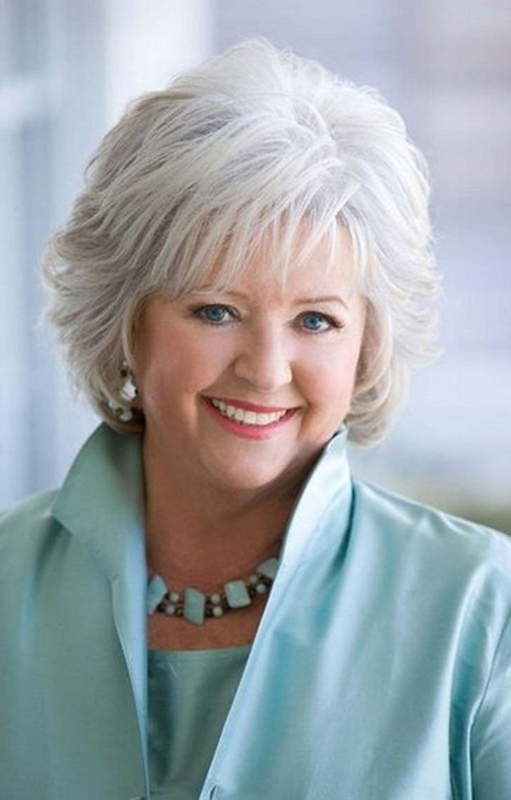 Because you will see even an eighty-year-old lady rocking highlights like nobody’s business. Go figure. And highlights these days are a lot safer and with so many options that you would be tempted to try at least once. 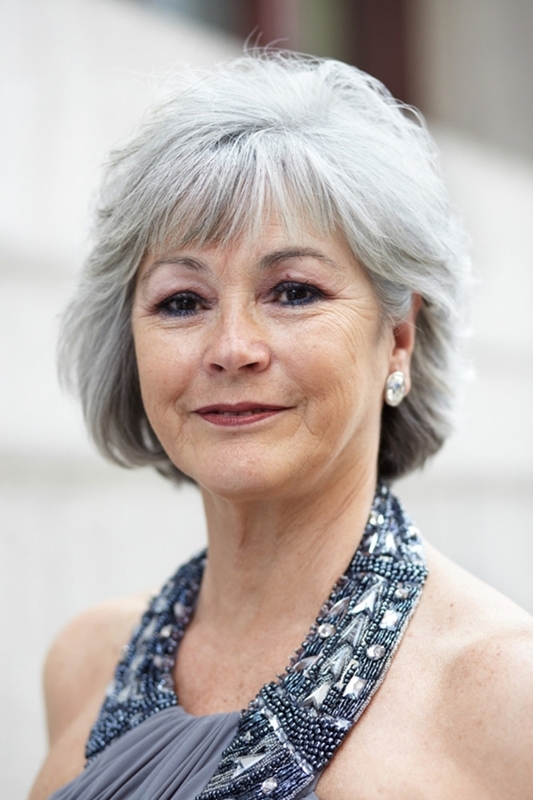 And if you are still a little hesitant to try those then give a chance to the wigs to serve you. Yes, they still exist and if you believe the grapevine, they are more in rage these days. 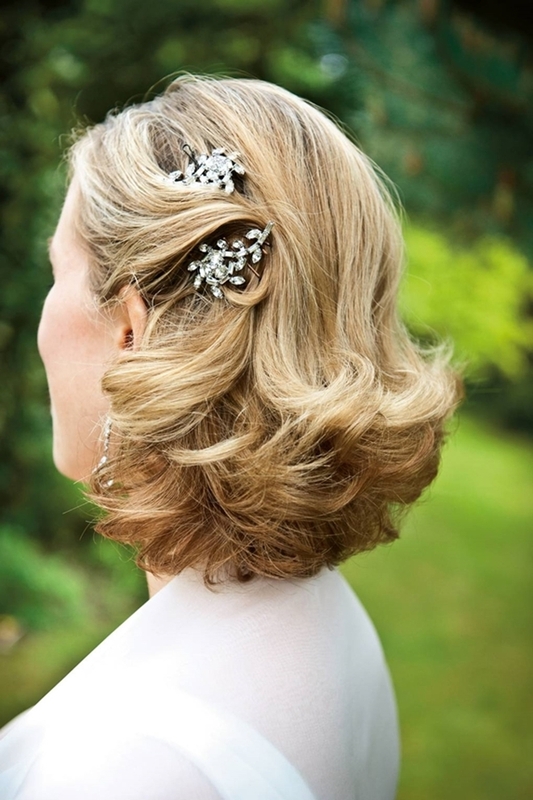 Time to add more sparkle to your favourite Glamorous Mother of the Groom Hairstyles. 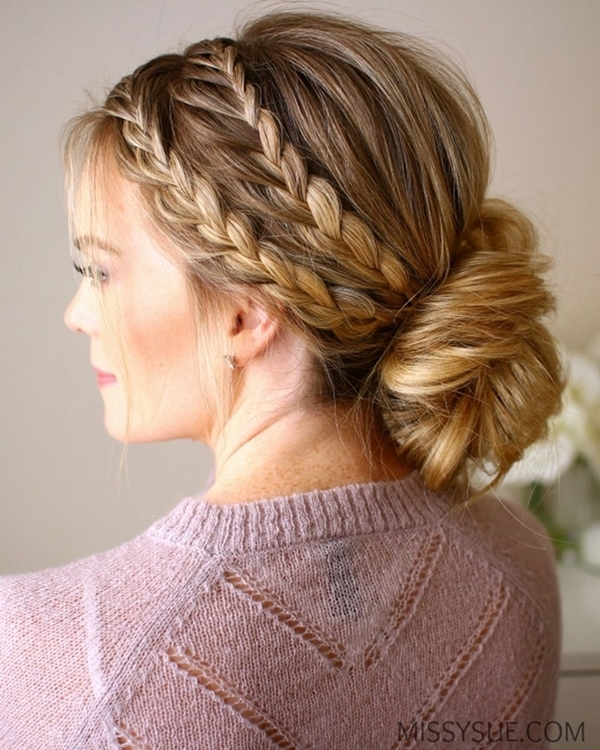 A braided bun will add the extra spice and twist to your sleek bun. A few strands here and there and you are good to go. 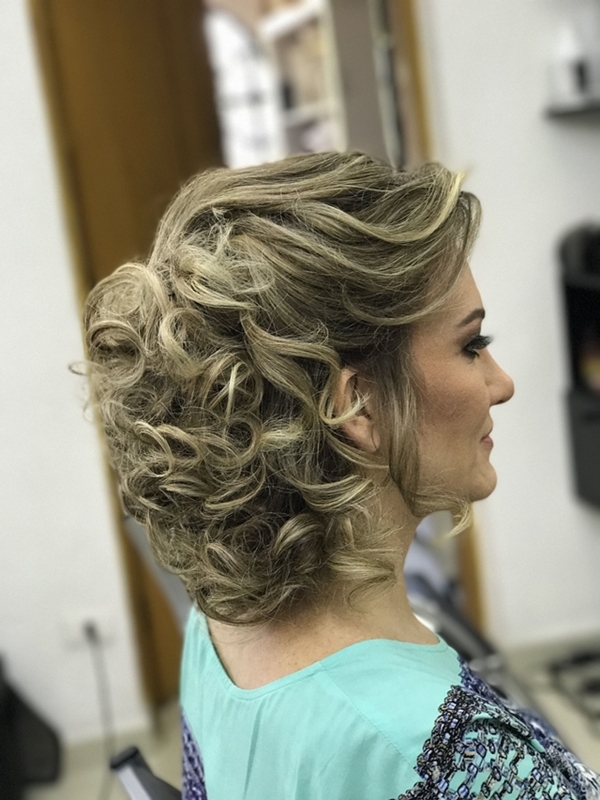 If your hair is shoulder-length then this will be the perfect hairstyle to go for if you are ready to keep your hair down. But, if your hair is long then you can just pin up those curly locks of yours and you get a brand new hairstyle. 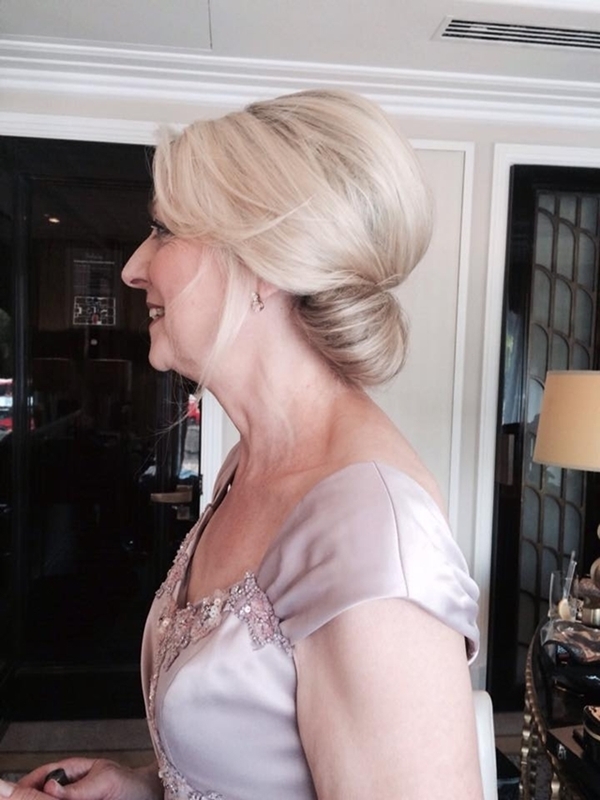 The bouffant bun is that chic look that suits every mother of the groom. It adds volume to your hair and one can even call is one of the graceful and elegant Glamorous Mother of the Groom Hairstyles of all time. 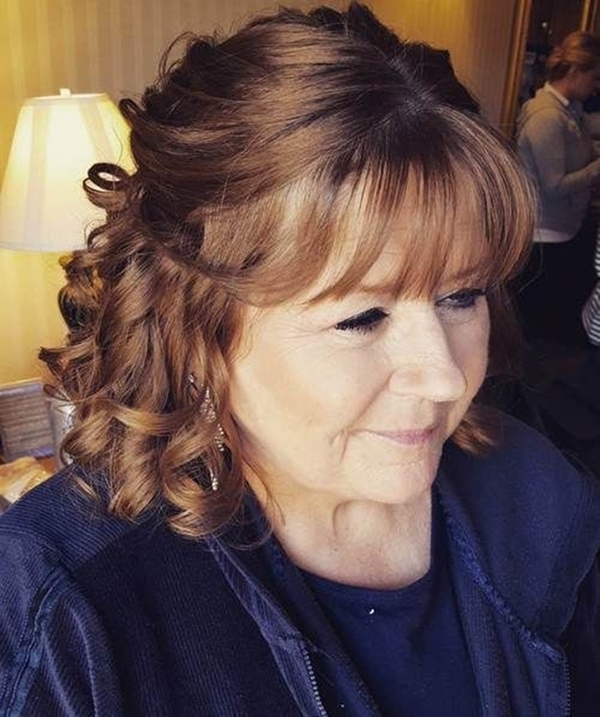 I believe this Glamorous Mother of the Groom Hairstyles is the perfect solution if your hair doesn’t hold the style for long. 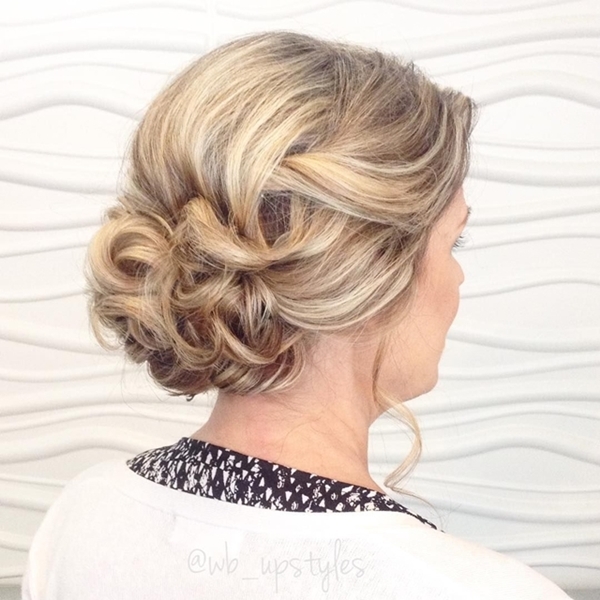 With a half updo, you look chic with curls pinned back. 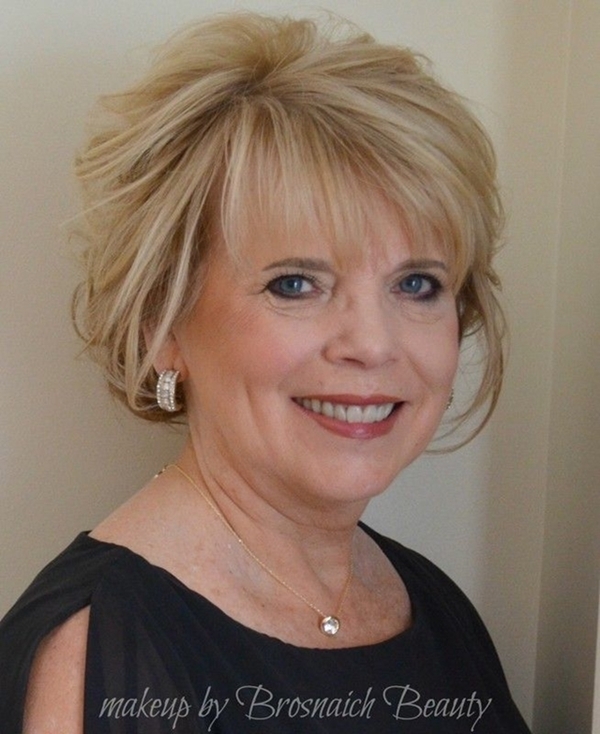 A bouffant effect will make your hairstyle look voluminous and enticing. Some sparkly accessories will do the final job. 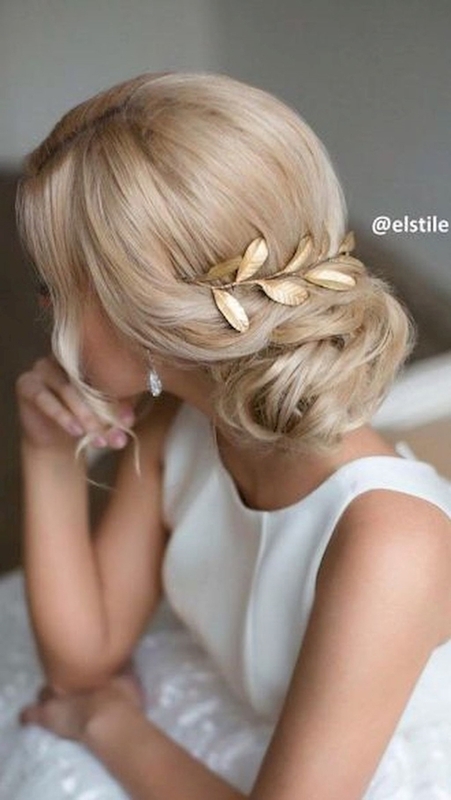 With these half-up half-down hairstyles you are destined to look like a Greek goddess. 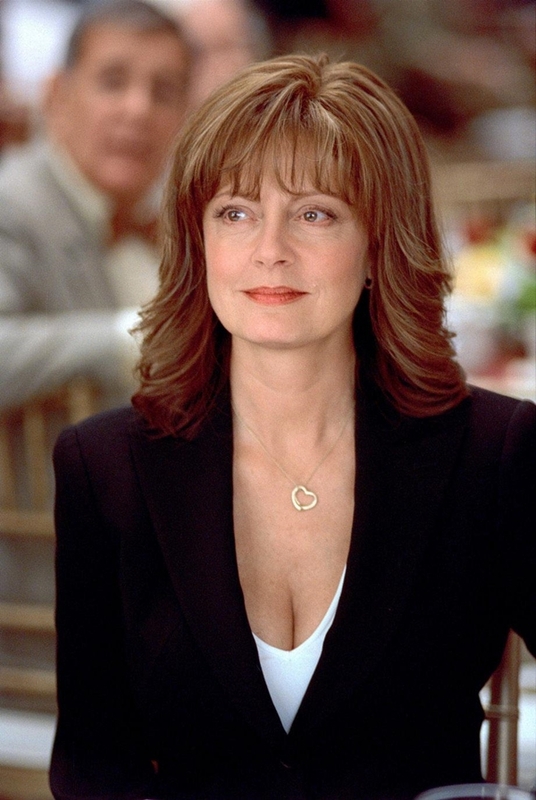 Bangs add that perfect sweetheart look to your face. If it isn’t your usual style then it’s time to take a leap and consider having them. 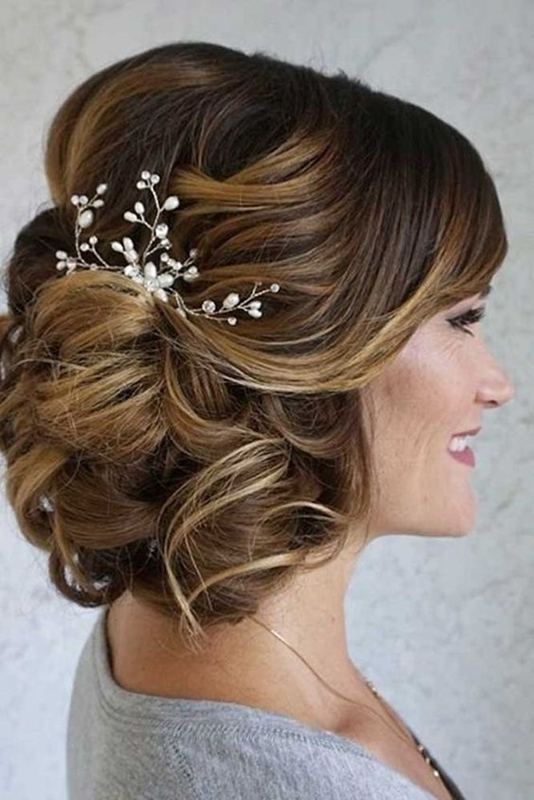 With an updo, these bangs will look perfect. 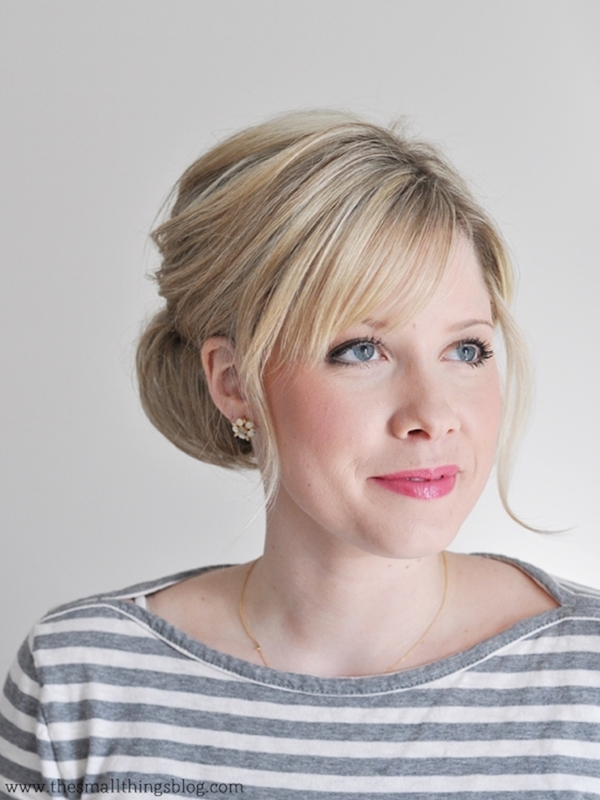 Try a sleek chignon or a high updo; these bangs would complement both of them. 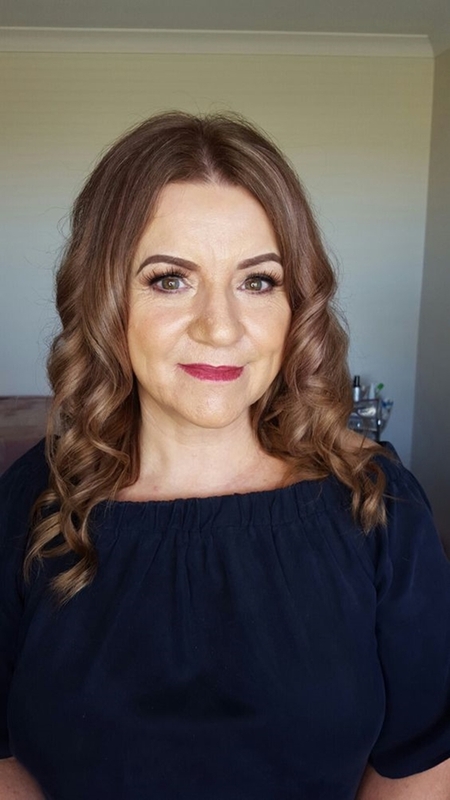 A bouncy blowout Glamorous Mother of the Groom Hairstyles is just what you need if your hair lack in thickness and volume. 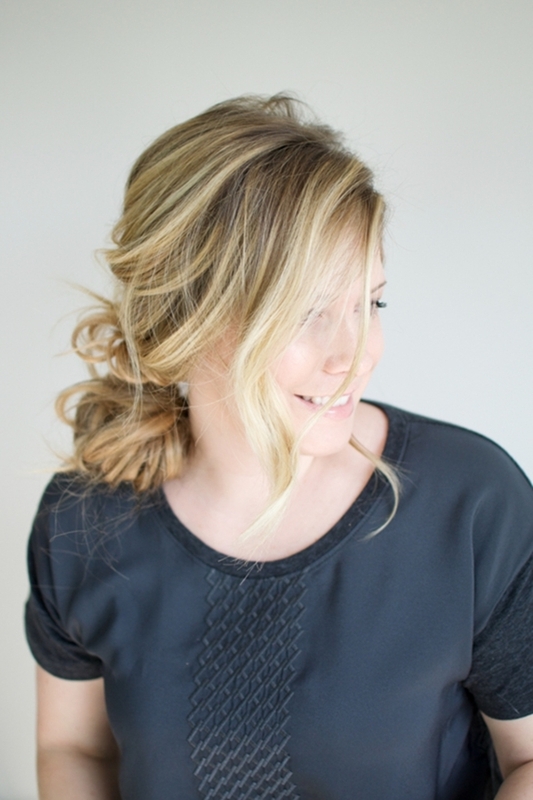 Soft bouncy waves with layered hair are just what the hairstylist advised. 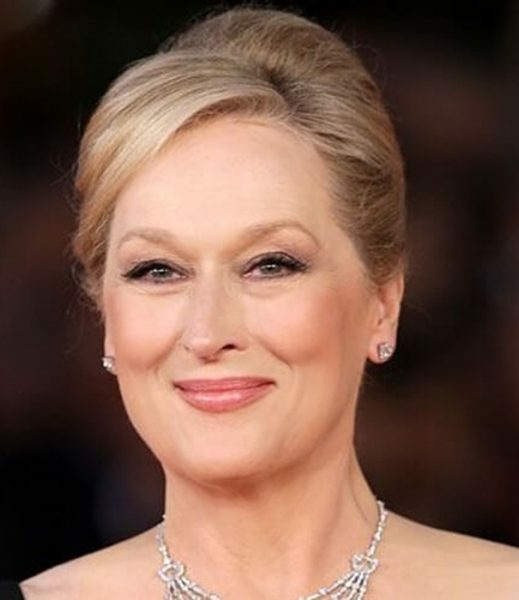 For short hair, such hairstyles are the perfect options for you. Be it short hair, shoulder-length or long tresses, curls will always enhance the beauty of your locks. With curls come a lot of options do with your hair. 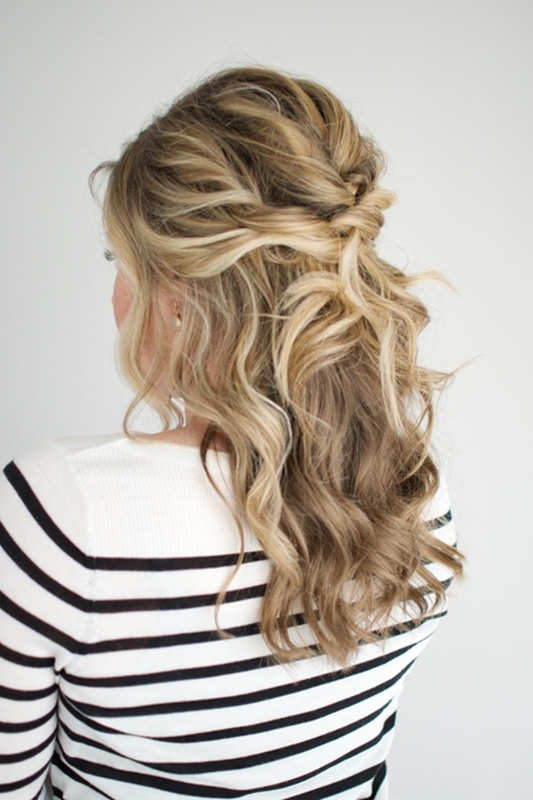 For instance, you can pin up your curled locks in a way that your hair gets a look of the darling ponytail. 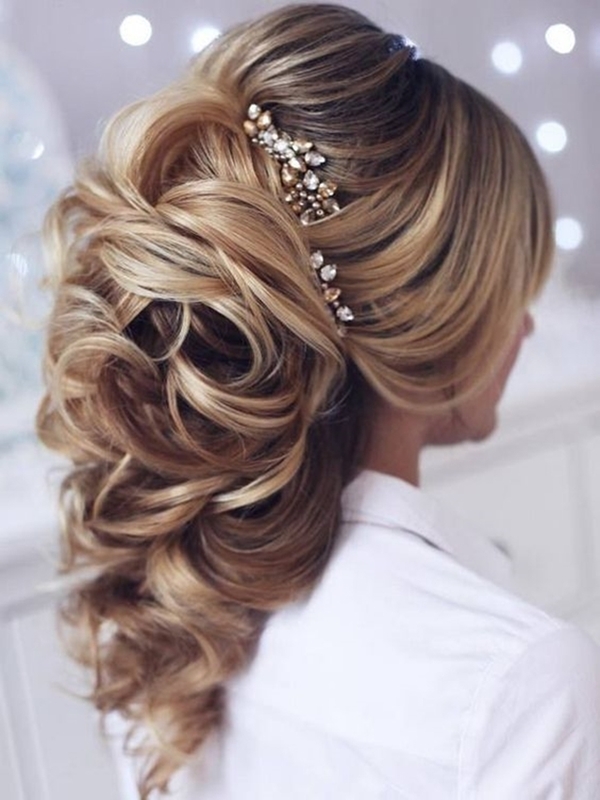 Or with long curls, you can go for a curly updo. Now, that’s another style with lots of variations. 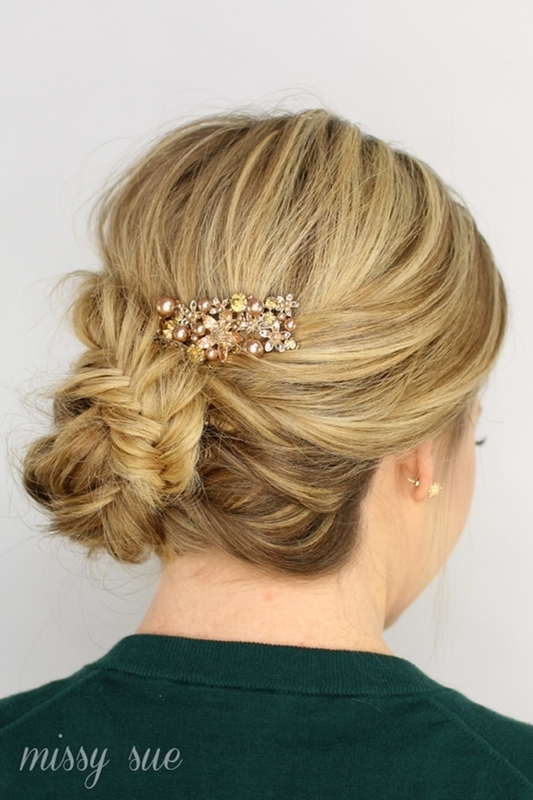 A loose side bun with a lovely blossom tucked in it will look great with understated elegance. A tousled updo will give the same effect. Undone curls framing the face will produce a romantic ensemble. 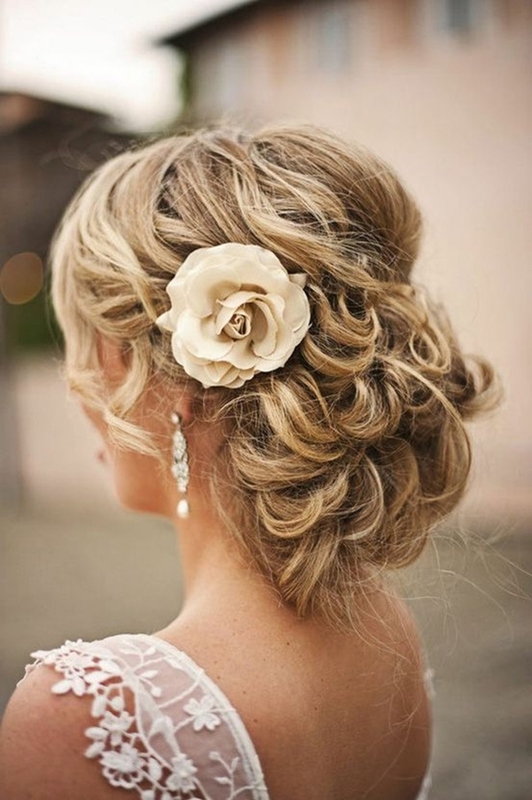 With so many hairstyles to choose from, you wouldn’t need to worry about how to style your hair in this wedding. Now, all you need is a perfect dress and you are good to go. This might help you there.